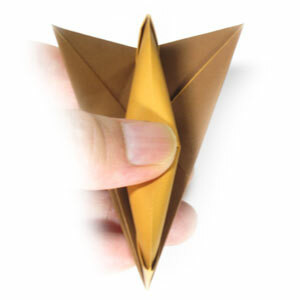 Rotate the origami fox model by 90 degrees. Prepare to press the region encircled with a dotted circle with your thumb. 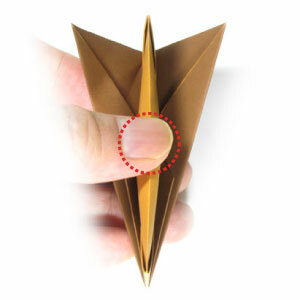 Start pressing the region encircled with a dotted circle with your thumb according to the step #15.